This beautiful bust man without head with arms and down to the top of the thighs. White color, and to customize your windows, we can paint it the color you want to bust. Various finishes are available such as matte, gloss, satin bust ... It adapts easily to all sorts of displays and collections of the moment. It was designed for optimal duration and requires little maintenance. 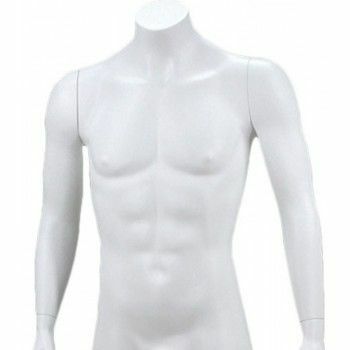 Available in delivery, this bust comes without a base or fixing because it easily stands in balance.